It is not convenient to take the train, cause there is no fast train, so we suggest that it is better to take airplane. Q: How many kilometers from Guangzhou to Shantou? Q: How many kilometers from Shenzhen to Shantou? 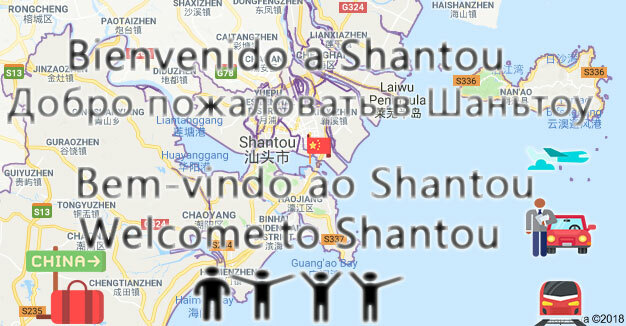 Q: How far is Shantou to Hong Kong? R: The geographical distance from Shantou to Hongkong is about 300 kilometers, and it will take about six hours by car, it is better to take airplane. If you want to come to Shantou Chenghai, you can contact us and we will help you formulate a perfect visit plan. This entry was posted in chenghai, Shantou Traffic and tagged Guangzhou to Shantou, Jieyang, Shantou – Shanghai, Shantou – Yiwu, shantou airplane, shantou plane, Shantou to Hong Kong, Shantou Traffic, Shenzhen to Shantou.